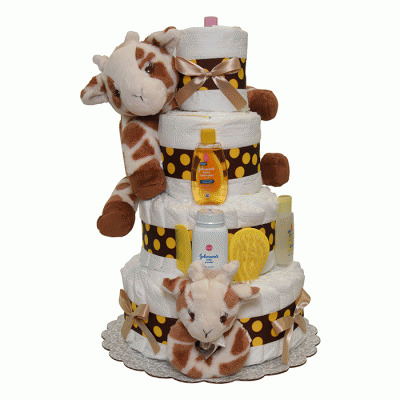 This is the ultimate, deluxe personalized version of our majestic Lion King diaper cake. 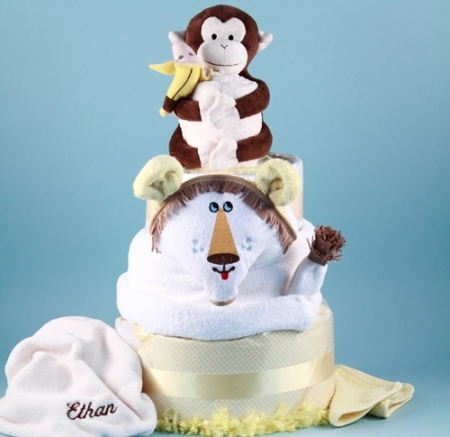 At the bottom of it all (well, almost at the bottom) is a wonderful hooded towel with amazing lion embroidery, creatively folded to look like the real thing. 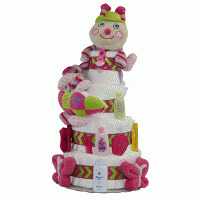 Sitting on top of this oh so friendly lion is a layer of newborn sized diapers and on top of that is a cuddly Hug-Zzzies plush monkey hugging one of the softest baby blankets ever, embroidered with baby's name! 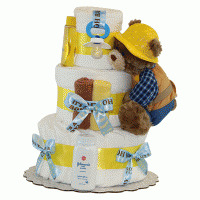 The bottom tier, making this an impressive 4 tier baby gift, is filled with more diapers and a 100% cotton receiving blanket. 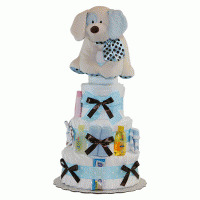 It is all painstakingly put together and beautifully wrapped to make this an impressive baby gift for either a baby boy or baby girl. 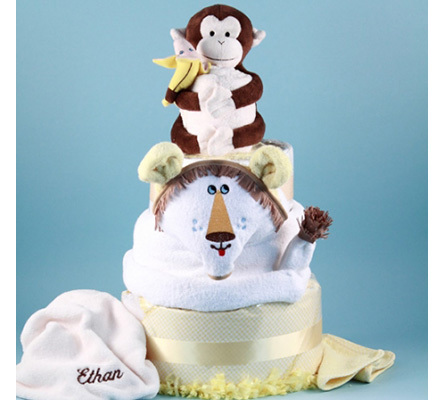 Lion King Diaper Cake includes: Soft and plush baby blanket-personalized Hug-Zzzies plush monkey Banana plush wrist rattle 36 newborn sized diapers 100% cotton terry hooded towel 100% cotton terry burp pad 100% cotton receiving blanket 3-100% cotton terry washcloths Choose this awesome Lion King Diaper Cake for your next baby gift!